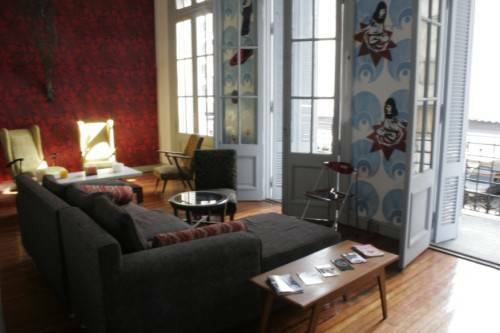 Santo Hostel is a totally refurbished 1930s three story home in the centre of Buenos Aires. The house was fully renovated to provide modern day conveniences but maintaining its original grandeur and personality, including a marble staircase, hardwood floors, high ceilings, atrium, iron balconies and fixtures. Throughout the Hostel, you will find mint vintage furniture as well as impressive pieces of art done exclusively for Santo by Argentinean artists. 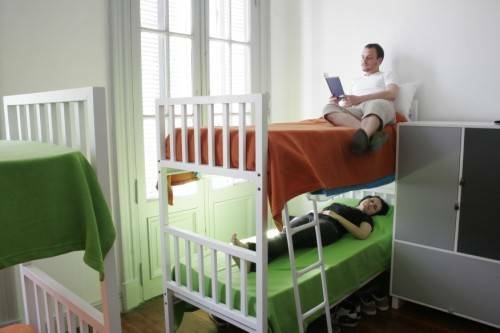 The Hostel offers 7 dormitory rooms, 5 bathrooms, 2 private rooms with private bathroom, an open air terrace, balconies, dinning room, computer room, kitchen, plenty of space to hang, and Santo Bar & Lounge. 10 minute subway ride to the train stations (Constitucion and Retiro) and bus station (Retiro) that link Buenos Aires to the rest of Argentina. 10 minute subway ride to Buequebus, boat station linking Argentina to Uruguay. 10 blocks off the highway coming from Ezeiza international airport. A step away from major tourist attractions such as the Pink House, the Cathedral, Florida St., museums, financial district, and historic buildings. A step away from clubs, bars and a wide range of restaurants. 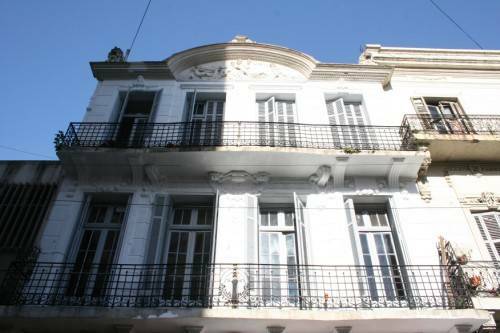 5 minute walk to the theatres, bookstores and galleries of Corrientes St.
20 minute walk to San Telmo, Recoleta and Puerto Madero. 15 minute bus/subway ride to Palermo.